I am a human resources specialist and a graduate student of organisational psychology who tries to find scientific answers to questions posed at work. For example, I keep hearing many complaints about underpaid wages and apparently it is a universal phenomenon (tinyurl.com/gwgx5hd). 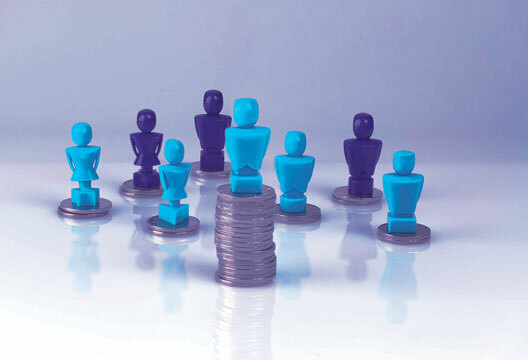 Many think that companies try to pocket profits for shareholders by underpaying employees. I know from my professional experience that it is actually not the case. And it made sense when I read about the phenomenon of ‘gift exchange’ at the workplace (tinyurl.com/h5otscg). Employers have incentives to offer above-market wage so that employees put more effort at work, positively reciprocating the ‘gift’ initially offered. Think about it. If your employer pays you more than you deserve, wouldn’t you like to show more effort at work? On the other hand, if employees think that they are getting paid less than they deserve, they want to inflict punishment. The game theory of fairness (tinyurl.com/gpjpcek) suggests that ‘people will in some situations not only refuse to help others, but will sacrifice to hurt others who are being unfair. Alas, companies usually end up with overpaid employees who actually think they are underpaid and, as a result, willing to perform counterproductive work behaviour! But what makes the perception of fair/unfair wage? What makes one think what is ‘deserved’? One research I have come across to is the study on American soldiers (tinyurl.com/h77hlp5), which found an anomaly: the military police were more satisfied with slow promotions than air force personnel, who had rapid promotions. It led to the introduction of the phenomenon of relative deprivation: people’s conceptions of fairness are based on comparisons with salient others. So is this the basis of the presumption of being underpaid? Regardless of its validity, I have seen at work that the thought of being in a relatively deprived position creates a psychologically disturbed mental state that requires some form of justification. Festinger’s seminal experiment (tinyurl.com/zvc9dfy) was useful in making sense of this phenomenon: Participants were first asked to do boring and tedious tasks, and then to tell someone else that the tasks were actually interesting. Participants, who were paid $20, did not have any problem in lying. But participants, who were paid $1, had conflicting cognitions, no justification to lie. Hence they internalized the attitude they were induced to express and claimed that they actually enjoyed doing the tasks. Therefore, a dissonance-reducing strategy is either internal self-deception or finding an external justification! So, when an already overpaid employee is asking for more, does it mean that he actually feels socially deprived and is unable to get over the disturbed feeling? If so, how should it be addressed? Should we impose self-deception on employees through the working out of love (tinyurl.com/gwgx5hd) narrative (i.e. creating an illusion)? Or should we put more effort and, first, try to understand particular social comparisons that each employee cognitively constructs and, then, explain why they are wrong? In other words, should we treat employees as human capital or human beings?